Good, practical recipes can help you make the most efficient use of basic food staples in a survival situation! 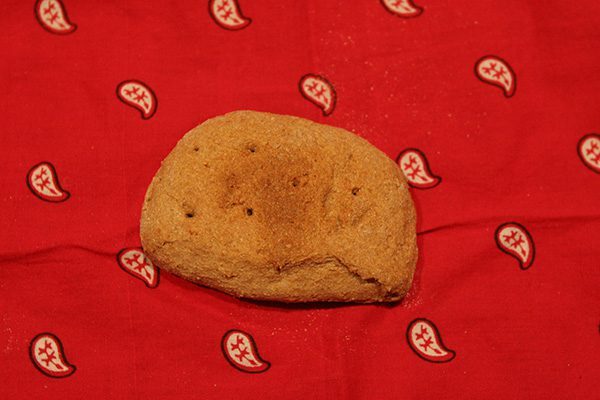 Hardtack is easy to make, has a long shelf life, and the texture of a fired brick! It is definitely a survival food, but you wouldn't want to eat it for long periods of time! One my best learning experiences was serving a year in Volunteers In Service To America on the Omaha Indian Reservation in Macy, Nebraska. My Omaha friends and I delighted in our cultural differences, but when it came to food, we all loved the traditional Omaha dishes of corn soup, beans and fry bread. Here’s the story I was told about the food: As the Omahas were forced onto reservations in the late 1870s, they were also forced into survival mode. The people would be issued monthly rations of flour, beans, parched corn or cornmeal and, if they were lucky, a few cattle. That would be it until the next distribution. So the Omahas and other tribes created recipes to use the government-issued food. Beans were simmered with salt pork. Parched corn became the basis of corn soup, along with some sort of meat. Fry bread only had three ingredients. My friend, Norma Leigh Dixon, made the best fry bread. She laughed when I asked for the recipe. “What recipe?” she said. “You just mix flour, baking powder and water and fry it. That’s why it’s called fry bread! Some useful recipes should be included in any prepper/survival/Bug Out backpack. It’s one thing to have staples, such as flour, but another to be able to consume them. What happens during a survival situation, when you end up with a bag of flour, some baking powder, a campfire and hungry children? One way to make the best use of basic food staples is to have good recipes! Here are a couple of suggestions to make flour and water into a more tasty survival ration. Bannock is the traditional bread of Canada and the Northwest. Native people had no access to flour prior to the arrival of European traders, although some flour substitutes existed, like wild turnips or corn, dried and ground to a powder. Bannock actually originated in Scotland. Because bannock could be quickly prepared from readily available ingredients, and because these ingredients lasted a long time without spoiling, bannock became a staple of European fur traders and subsequently, the native people also. Stir ingredients together; stir in water to make dough moist. Knead dough until smooth. Place in greased cast iron skillet or Dutch oven and bake it about five to ten minutes over the campfire or on coals until it is brown on the bottom, then flip it, and brown the other side. A handy way to prepare for a backpacking or hiking trip is to mix all the dry ingredients in a Ziplock bag. Just add 1/2 cup water and knead in the bag. Then take out the dough, finish kneading and spread it in the pan. To quote my friend Norma Leigh: “What recipe?” Use essentially the same combination of ingredients as for bannock, and fry in hot oil in a Dutch oven or skillet. Brown on both sides and serve hot. Hardtack is one of the original trail and emergency foods. Hardtack is simple to make, transports easily and will last a reasonably long time if stored in plastic bags or containers. The disadvantage is the bland taste, and traditional toughness. Mix the flour and salt together in a bowl. Add just enough water (less than two cups) so that the mixture will stick together, producing a dough that won’t stick to hands, rolling pin or pan. Mix the dough by hand. Roll the dough out, shaping it roughly into a rectangle. Cut into the dough into squares about 3 x 3 inches and ½ inch thick. After cutting the squares, press a pattern of four rows of four holes into each square, using a nail or other such object. Do not punch through the dough. The appearance you want is similar to that of a modern saltine cracker. Turn each square over and do the same thing to the other side. Place the squares on an ungreased cookie sheet in the oven and bake for 30 minutes. Turn each piece over and bake for another 30 minutes. The crackers should be slightly brown on both sides. The fresh crackers are easily broken, but as they dry, they harden. 2 Comments on "Simple Flour Based Recipes For Your Survival Kit"
enhance your hardtack with a touch of ginger and molasses, gives it a southern flare and flavor, if you gonna break your teeth it might as well be good. That certainly would improve the flavor, but I’m not sure anything could make that recipe taste really good except hunger.